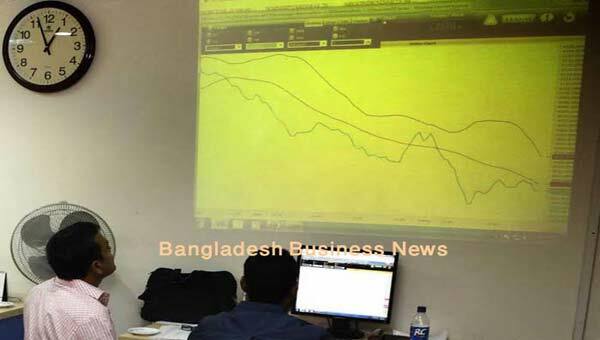 Dhaka, Bangladesh (BBN) – Bangladesh’s stocks saw a major correction on Monday with key index of the prime bourse dipping below the 5,700-mark once again as cautious investors went on selling spree. 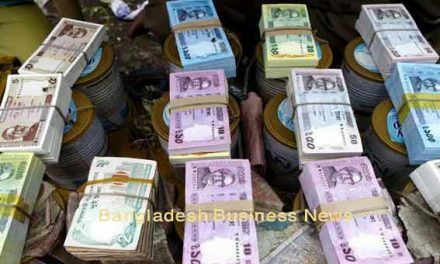 Analysts said the cautious investors went for booking profits on sector-wise issues while the institutional investors could not support the market more because of persistent liquidity crisis, taking the key index below 5,700-mark. 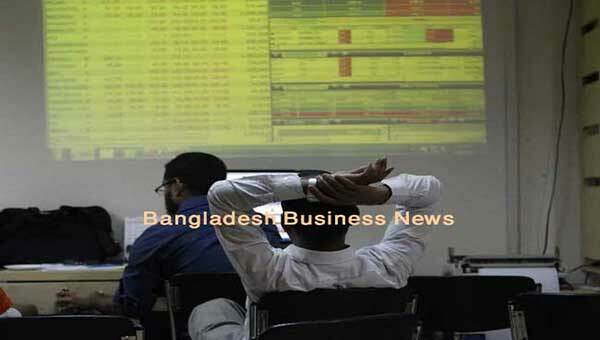 Following the previous day’s flat movement, the Dhaka Stock Exchange (DSE) and the Chittagong Stock Exchange (CSE) opened on negative note and the downward trend continued till end of the session with no sign of reversal. Finally, DSEX, the benchmark index of the DSE, went down by nearly 58 points and the CSE All Share Price Index – CASPI – slumping by 188 points at closing. DSEX, the core index of the DSE, went down by nearly 58 points or 1.01 percent to settle at 5,663. The two other indices also ended lower. 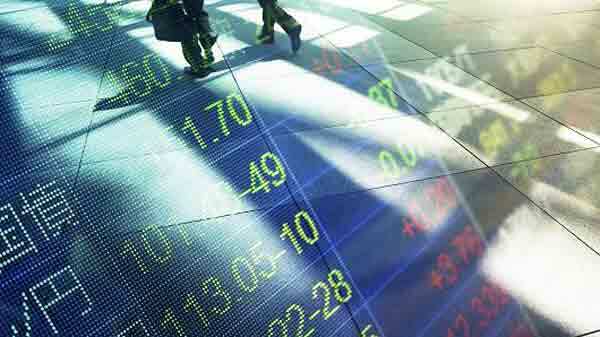 The DS30 index, comprising blue chips, fell 13.50 points or 0.64 per cent to finish at 2,105. The DSE Shariah Index (DSES) lost 12.12 points or 0.89 per cent to close at 1,337. The market activities, however, crossed BDT 5.0 billion and the total turnover on the DSE amounting to BDT 5.12 billion, which was 86 percent higher than the previous day’s BDT 2.75 billion, riding on Summit Power. The losers took a strong lead over the gainers as out of 336 issues traded, 258 closed lower, 50 ended higher and 28 issues remained unchanged on the DSE trading floor. 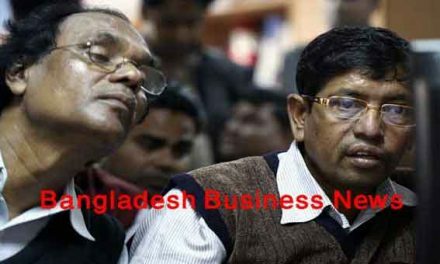 Recently listed Queen South Textile topped the day’s turnover chart with shares worth nearly BDT 130 changing hands, followed by Fortune Shoes, Monno Ceramic Industries, LankaBangla Finance and Apex Foods. SEML Lecture Equity Management Fund was the day’s best performer, posting a gain of 9.46 percent while United Finance was the day’s worst loser, losing 11.76 percent following its price adjustment after record date. Port city bourse CSE also saw major correction with the CSE All Share Price Index – CASPI – slumping by 188 points to settle at 17,472 points and Selective Categories Index – CSCX – shedding 113 points to finish at 10,550 points. Here too, the losers beat the gainers as 176 issues closed lower, 34 ended higher and 19 remained unchanged on the CSE. The port city bourse traded 5.10 million shares and mutual fund units worth more than BDT 123 million in turnover.